Turkey with Rainbow feathers and a triangle on its chest. 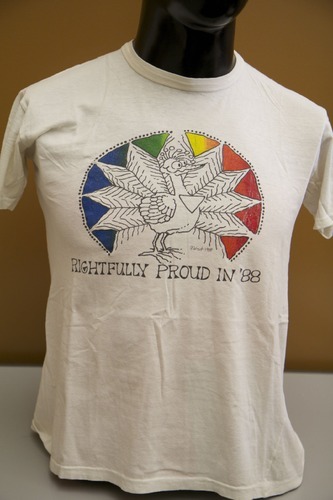 Text, "Rightfully Proud in '88"
Origin Unknown. 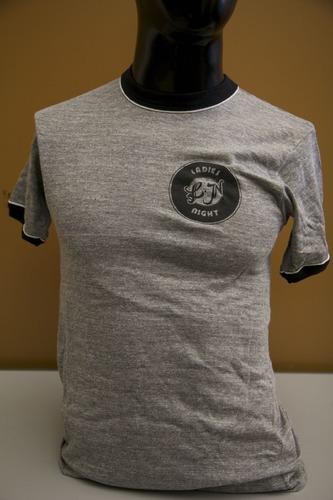 Please contact Wearing Gay History if you have any information regarding this shirt.